Rarely do I get as excited as I am about this new yarn. Hooplayarn has been on my shop wish list for a long time, and finally I have them in stock. The definition of upcycling is ‘the process of converting waste materials or useless products into new materials or products of better quality or a higher environmental value’. Hooplayarn is an upcycled, eco-friendly product made of selvedge from the thriving textile industry. These 1 cm wide strips of fabric are wound onto cones for easy knitting or crochet. Each cone weighs approximately 500g. Due to the thickness of the yarn it grows at an amazing speed. 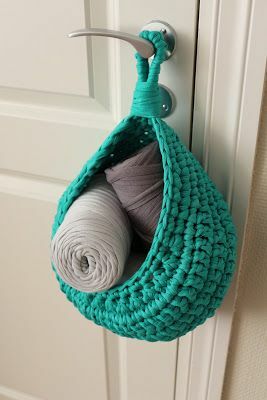 This makes it perfect for you if you are new to crochet or knitting because you will see almost instant results, and it also lends itself perfectly to using crochet or knitting as a hand exercise! Its a workout your hands have never tried before! 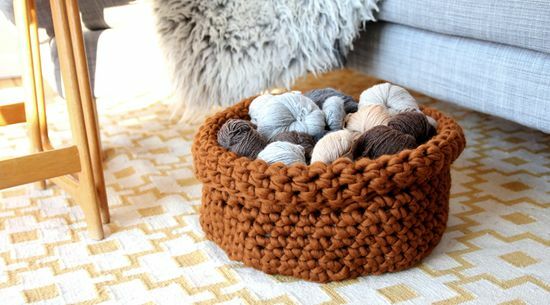 You really won’t believe how quickly projects can be finished, and more importantly how much you get from just one bobbin. I just couldn’t help myself and had to get some for me to bring home last night. This is how far I got in one evening, and as you can see I haven’t even used one whole cone yet. 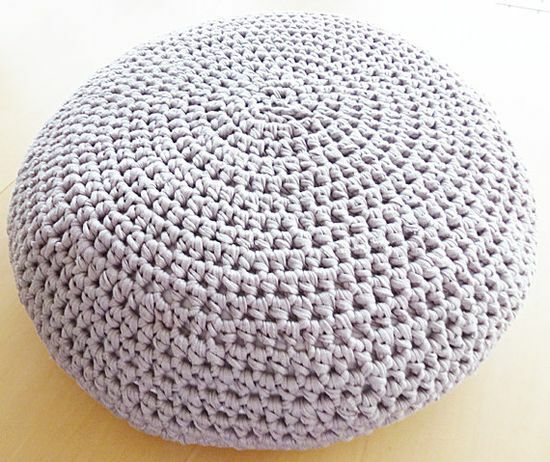 I’m making a pouf, and will make sure to publish the pattern as soon as it is completed. 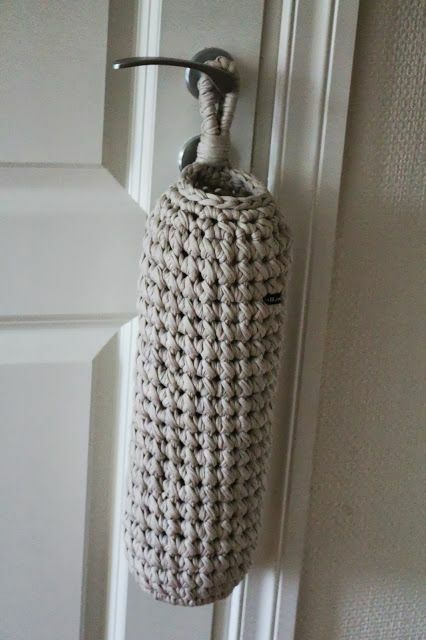 A couple of these pattern are in Norwegian though, but the projects themselves should be fairly simple, so if you don’t speak Norwegian, try Google Translate or just try to reconstruct the design by looking at the pictures. 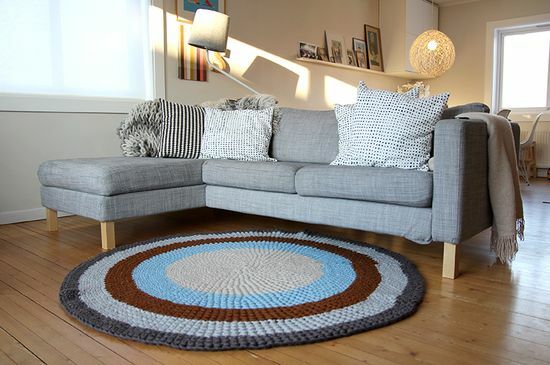 You can use Hooplayarn for all of these projects.